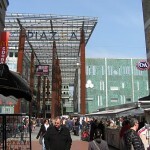 Eindhoven is known for their football team, PSV Eindhoven, and not so much more among foreigners. 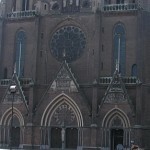 This is probably not the city we would prioritize on a travel to Amsterdam with little time to throw away, but if you insist on visiting Eindhoven, we hope you will have a good time. For those arriving with airplane to Eindhoven Airport a good alternative is taking the bus from the airport to Eindhoven Central Station. 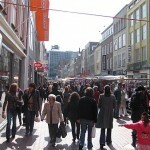 There you can leave your luggage, and go for a walk for some hours in Eindhoven. 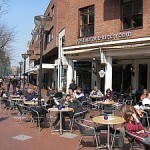 The city has a very nice walking passage with fashion shops, a cool “open-air”, yet closed shopping center and the city has several cozy outdoor cafes. If you want to see PSV Eindhoven play, you can buy tickets from here or if you just want to go to a concert in Eindhoven, you can see a concert schedule here.